After completing his transplant fellowship, he spent time as a faculty member at UAB. He currently is appointed Clinical Assistant Professor at USF Morsani College of Medicine. 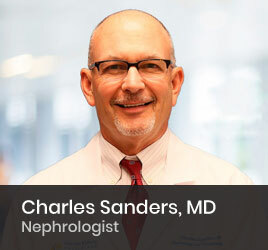 He has held numerous leadership positions which include being a member of the US Renal Care Eastern Advisory Board, Lifelink of Florida Board of Governors, Organ Transplant Advisory Council, and the Tampa General Medical Group Board. Additionally, he is a former Medical Director of Transplant Nephrology at Tampa General Hospital. Prior to joining Florida Kidney Physicians, he was part of the Tampa General Medical Group and continues to provide expert services to the Tampa General Hospital Kidney Transplant Program.